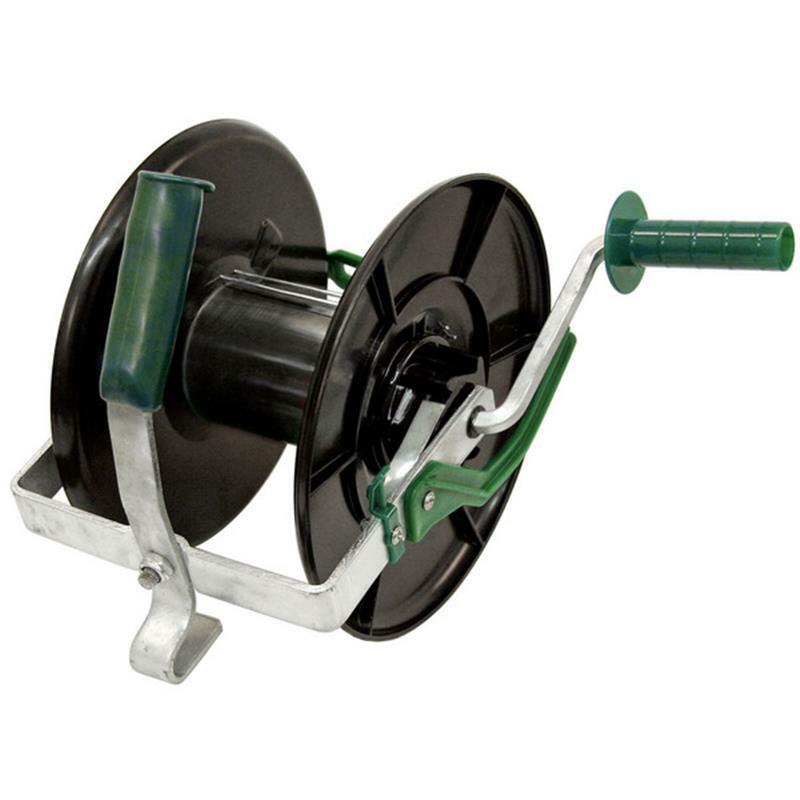 Compact Reel, impact-proof plastic guarantees durable use. Special eye for well-directed wire routing. Heavy duty crank arm, galvanised carry handle that will clip onto the portable reel system. Up to 600m plastic plywire or about 200m tape.